DC's Legends of Tomorrow -- "Tagumo Attacks!!!" 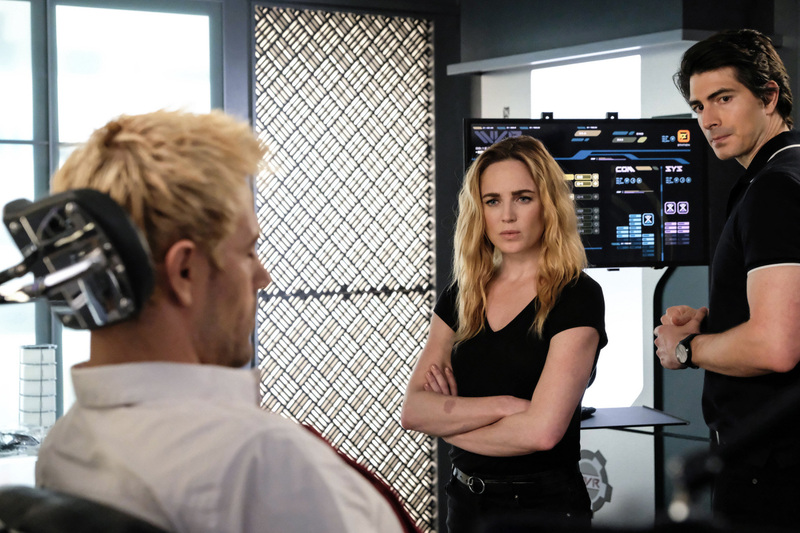 -- Image Number: LGN405a_0053b.jpg -- Pictured (L-R): Matt Ryan as Constantine, Caity Lotz as Sara Lance/White Canary and Brandon Routh as Ray Palmer/Atom -- Photo: Bettina Strauss/The CW -- ÃÂ© 2018 The CW Network, LLC. All Rights Reserved.